There are various window styles available on the market. With all the options available, homeowners often have a difficult time to decide which the best window style for their home is. Of course, if we are talking about taller windows openings, usually there are two window styles of operable windows that come into our mind, which are casement windows ands and double hung windows. They both offer certain benefits and characteristics. Therefore, knowing what you can expect from each window style is important. It will help you make the decision easier and ensure that you choose the right window style for your home. 1 What is a Casement Window? 2 What is a Double Hung Window? A casement window is a window that is attached to the frame by one or more hinges. A casement window is usually hinged at the side. However, such windows that are hinged at the top are called awning windows, whereas the ones hinged at the bottom are called hoppers. A casement window can be used singly or in a pair within the same frame. It is sometimes equipped with a casement stay to hold it open. 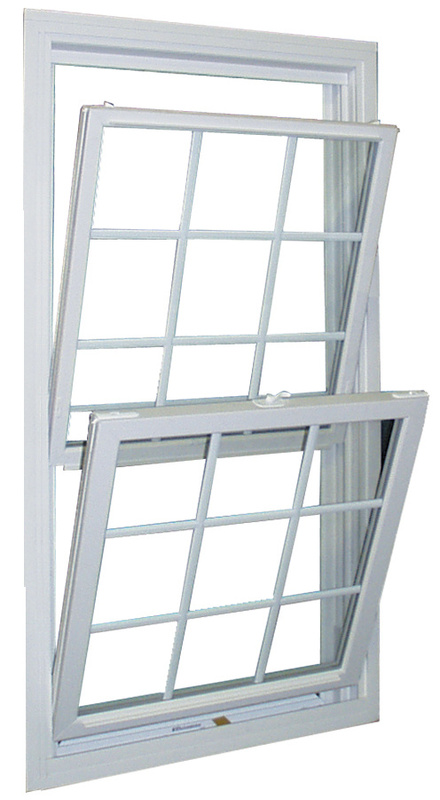 A double hung window feature two movable sashes that can be opened from the bottom or top. This way, you can open the window by lowering the top part of raising the bottom part. Both sides can be tilted inward for easy cleaning. A casement window opens outwards, just like a traditional door. It uses a cranking mechanism. It pivots on its hinges. When you crank it open fully, you can easily clean the outside surface from the inside. However, the downside of such window style is that it requires more space to open. You don’t want it to hit a wall or something when opened. Also, it relies heavily on the hinges. There is a risk that the hinges get bent slightly out of shape due to strong breezes or the weight of the window, if it is a large sized one. On the other hand, a double hung window with its two vertically sliding sashes allows you to open from both the top and bottom. The most peculiar feature of it is the capability to tilt inwards, allowing you to clean the outside surface from the inside of your home easily. A double hung window has a nice advantage for a limited room because it does not require any space to open and close. In addition, it has a lower risk of operation damage. Also, a casement window would pass the window egress law more easily than a double hung window. The window egress law is a law that essentially requires windows to be wide enough and not too far from the floor to allow people to escape in the case of a fire hazard. The clear opening should be at least 57 square feet and the window should no more than 44 inches above the floor. A casement window would open more widely without any obstruction, whereas a double hung window doesn’t open as wide due to the pair of sashes. So, if the size of the space for the window is quite small, you may want to opt for a casement window instead in order to create a wider opening. When installing a window, you may want to consider whether you want to enjoy a clear, unobstructed view of the outside through the window or not. A casement window can give you that. A casement window has a distinctive advantage that it does not have any bar in the middle of the window, allowing you to enjoy a full, unobstructed view of the outside. Even if the window does not have grilles, grids on or between the glass, a double hung window still has a check rail in the center. This is not a particularly large obstruction, but it may still disturb your view of the outside. If you want to enjoy a picture look through the window, the check rail may make it not your favorite window style. Tight sealing is an important factor to consider for energy saving. In fact, many homeowners have replaced their windows solely for energy saving. A window that does not seal tightly will cause heat and cold transfer between the inside and the outside, making your air conditioner run more heavily and thus driving up your electricity bill. If you want a window that seals as tightly as possible, a casement window is your best bet. There is no sliding mechanism, and a casement window fits properly into its frame when cranked shut and locked. Double hung windows sometimes don’t seal tightly because of the sliding mechanism. Basically, both casement windows and double hung windows have good ventilation. However, a casement window may act like a sail of a boat when opened, catching and directing all the wind to inside the home. This can be good, but too much air current may whip and twist the window. If not secured with a casement stay, the window may hit a wall and the hinges may eventually get bent over time. A double hung window offers a gentler approach. Since the sash can slide up or down, it does not draw too much air current, allowing for a nice breeze into the house. In addition, a double hung window does not have the risk of twisting and hitting things. 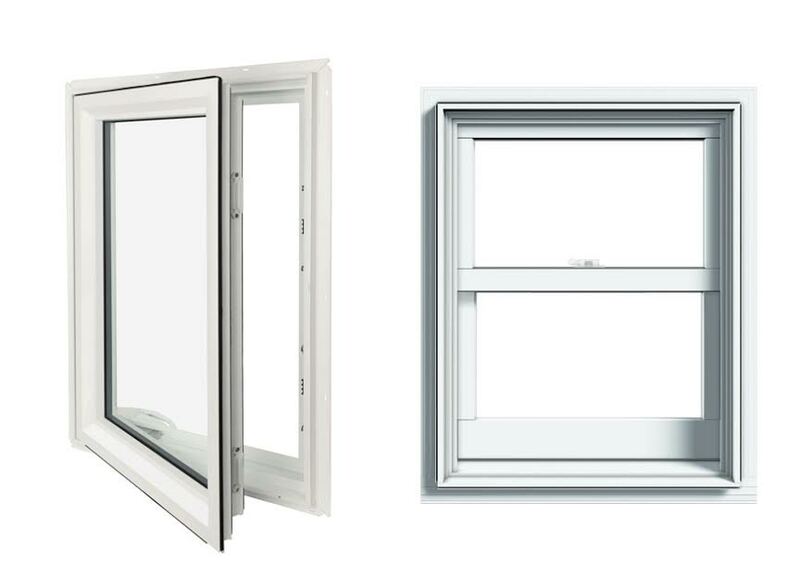 For a small window, a casement window is more suitable. It will allow for a wider opening to meet the window egress law. 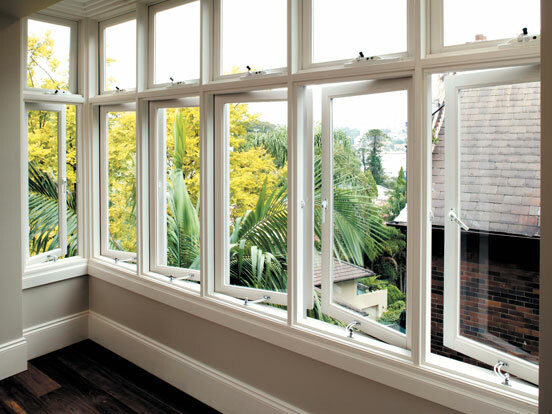 Also, a casement window should be your choice if you want a clear, unobstructed view of the outside. However, if there isn’t enough room for opening such window, a double hung window can be an excellent alternative. A double hung window is also preferred because it is easy to clean and it does not get twisted over by the wind.